Mexico is one of the most popular honeymoon destinations. With more than 20 resort areas within the country, a wide variety of cultural experiences and personalities are offered. One mistake many brides make is assuming one size fits all. Much like New York and Los Angeles are opposite culturally, Mexico’s east and west coasts offer different experiences for travelers. Choosing the correct location and hotel can make or break a honeymoon experience. Due to its popularity and proximity to highly populated US cities, Mexican hotels can be massive. While brides may not experience a custom honeymoon, their budgets may be met as there are more flights and hotel rooms for sale. Mexico is a diverse country that focuses on food, vitality, and family. Mexicans have maintained deep traditional roots in their respective Native American culture while adapting their equally prevalent European heritage. Each region has their own rituals, superstitions, and traditions, so visitors can expect a different experience depending on where they visit. 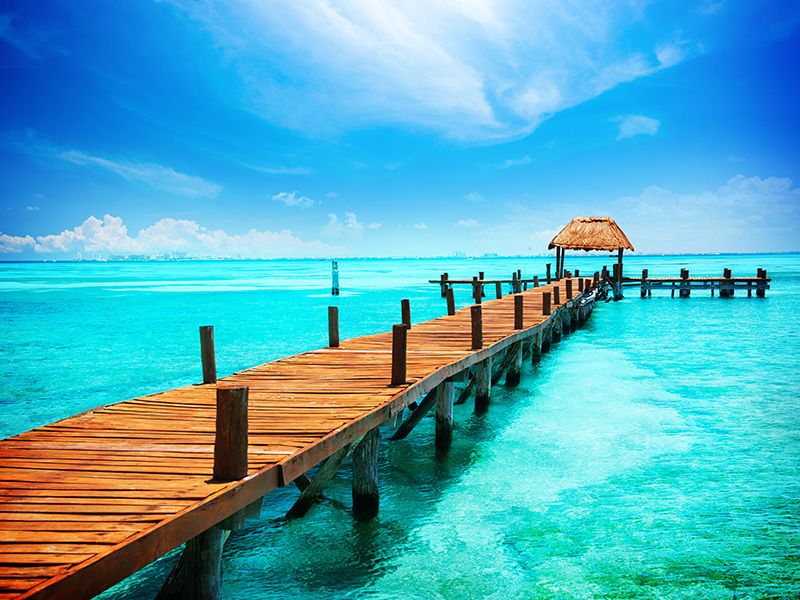 Mexico is one of the most popular destinations for US travelers. While the culture varies by each resort area, the country’s atmosphere is generally active and festive. Mexico is popular with most groups of people including honeymooners, weddings, groups, families, spring breakers, and weekend getaways. For the most part, travelers looking for an exotic retreat will need to change expectations or go to other destinations. While the national language is Spanish, most frontline service employees speak English. The US dollar is widely accepted and even preferred by large hotels and small street vendors alike. By and large, the municipal systems do not produce potable water, however, most hotels have self-contained water purification systems. Although Mexico is the most populated Spanish speaking country in the world, most front line service employees in major tourist areas speak English. You will periodically have language barriers, so it’s best to try to learn some basic Spanish phrases.